In the past few years, Stamps Health Services has been working to create a comprehensive tobacco cessation program, beginning with the process of data collection to better understand the scope of the issue. This program was brought into sharper focus after the Georgia Board of Regents implemented its Tobacco Ban on all public universities in the state. “[This was] a collective effort by leadership within Campus Services and Stamps Health Services, including the executive governing board, the office of Health Promotion, and an internal Tobacco Cessation committee was made to plan the Tobacco Cessation Classes,” said Vladmir Oge, Director of Health Promotions. A campus-wide ban has been implemented on tobacco and enforcement and is focused on awareness and education. 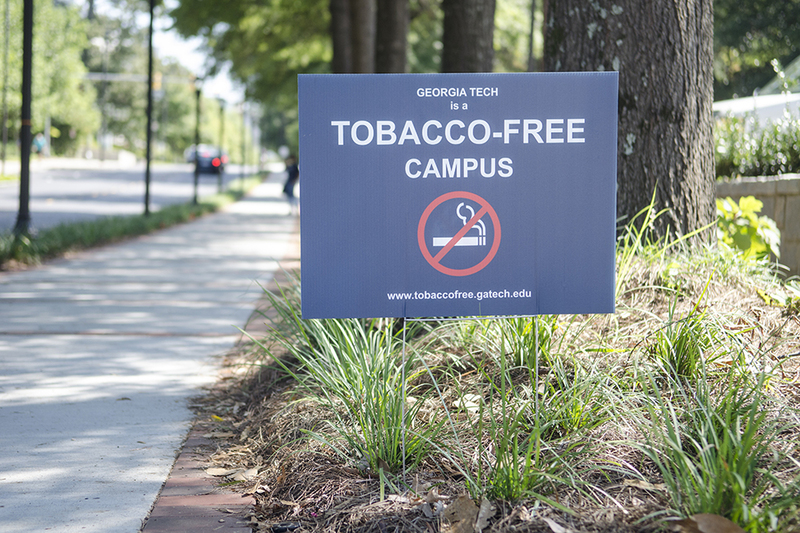 “Tech is adopting a community approach to encourage and support each other as we get accustomed to being a tobacco free campus,” Oge said. The program is based on data and research carried out by the American Lung Association’s Freedom from Smoking program, an evidence based study carried out by physicians, psychologists and health educators. Based on the National College Health Assessment (NCHA), about 11% of Tech Students use cigarettes, 10% use hookah, cigars or cloves. Healthy Campus 2020 provides a 10-year national objective for the health of all students, faculty and staff on campuses across the country, a framework Stamps uses to improve the overall health at Tech. Anybody who plans on quitting can reach out to the program and seek assistance. Those who participate in the program are eligible to receive over the counter (OTC) nicotine replacement products including skin patches, chewing gum and lozenges free of charge. Group sessions are held every Tuesday at Stamps Health Services.